ISIS killed 14 people at a Real Madrid supporters club headquarters: A squad of the terrorist group ISIS – Islamic State of Iraq and Syria killed people at a Real Madrid fans club headquarters. On the notion that ‘they do not like football sports’. Earlier today, ISIS confirmed the attack through a multimedia message. And frightful pictures and videos of the aftermath surfaced the internet later today. The football club ‘Real Madrid’ took a moment to offer their ‘sole condolences’ to the fans. They will wear black armbands tomorrow. The nearby people gathered at the scene after hearing the firing shot of guns, entered through the shattered glass with blood running over all the floor. It was being reported that the fans group, consisting of 4191 heads, gathered for coffee and enjoyed the old Real Madrid matches. The video confirmed a switched off TV with broken glass, and pictures of players like Ronaldo hung upside down across the walls. 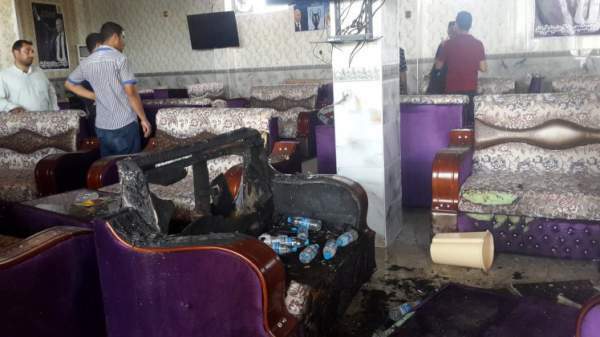 The head of the club Ziad Subhan uttered: “A group of Islamic terrorists, from ISIS, came into the cafe, armed with AK-47s, shooting at random at everyone who was inside”. When asked, why would they attack fans, he said: “They don’t like football, they think it’s anti-Muslim. “They just carry out attacks like this. This is a tragedy”. Two of the attacked ran away, while one of them, hours later, turned up to a vegetable marked when cornered by police team and set off his explosive vest, committing suicide. Another RM Club stated: “Real Madrid profoundly laments the terrible attack today in Iraq which has ended the life of 16 members of a Madrid fan club, and that injured more than 20. Reportedly, the attack was conducted to pay honors to Abdel Rahman Mustafa al-Qaduli, ISIS second-in-command members, who was killed by police forces in a coalition strike in March 2016. The killing of innocent people is still a frequent topic in Iraq, this week; three car bombings took place in Baghdad which led to killing more than 90 people and injured 165+. Later, ISIS also held responsibility for these three attacks. We and our entire team pray for the innocent fans who lost their lives in this brutal assault. Stay tuned for more news!